Chicken and eggs are the staple protein for non vegetarians who want easy home cooking. I am more of a vegetarian when it comes to everyday food as I like my vegetables and lentils more than the meats, though I have meats and fish about 3-4 times a week. Eggs almost everyday. 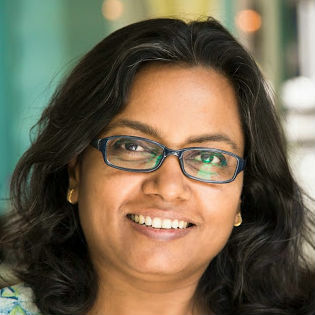 Spicy curries and soups were more enjoyed during the winters and now with the temperatures going up everyday I am naturally veering towards some colder foods. Lighter and colder I would say, as these salads are season appropriate. Purple cabbage grows well in the garden but this time I couldn't get any seedlings so only the green cabbages are growing right now. 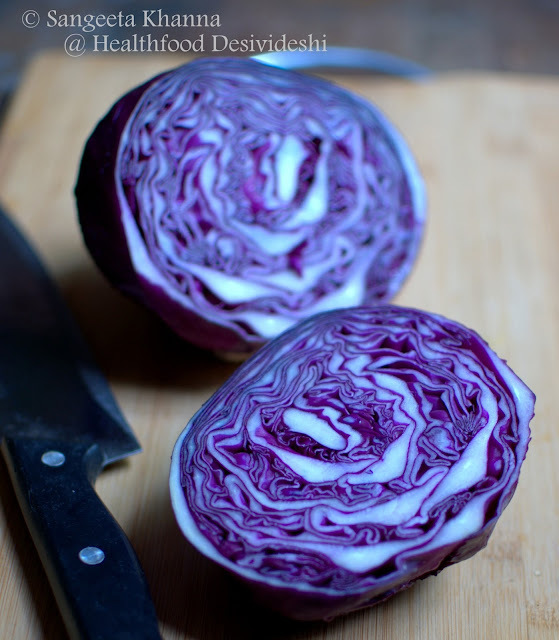 I pick up a purple cabbage occasionally form the market when I see them fresh and clean. 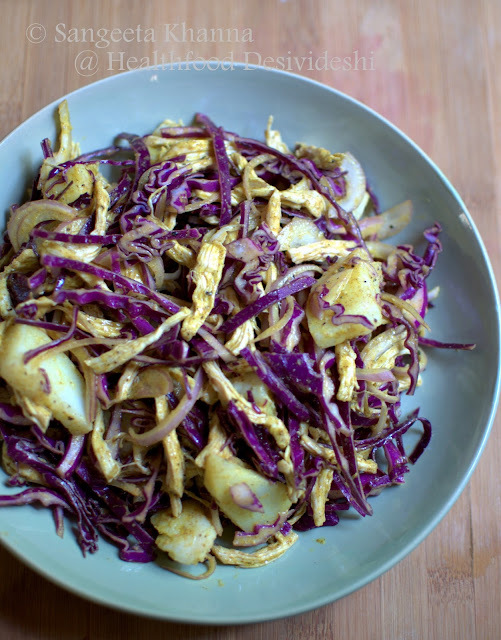 I love salads with them, a simple mustard dressing purple cabbage salad is a popular post on this blog. Chicken breast is the best part of chicken that can be used in a salad when shredded. One needs to poach the chicken breast for a while (about 10 minutes) to keep it soft and succulent for a salad. Overcooking would make the chicken breast rubbery. Once poached, the chicken breast keeps well in the fridge for about 3-4 days, Just shred it and mix with your salad of the day. I had bought 400 gm of chicken breasts and used it three times to make salads for us. The mustard dressing salad was made twice. Mix everything in a bowl and whisk lightly. 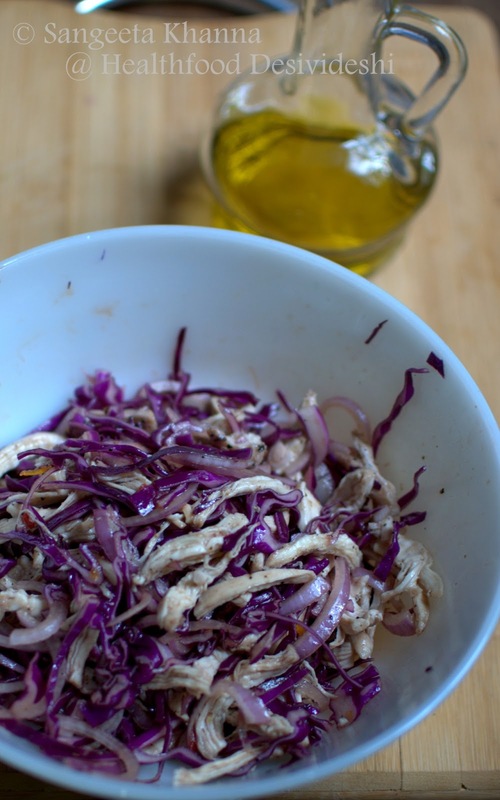 In a large salad mixing bowl, add the sliced cabbage, onions and shredded chicken. Pour the dressing over it and mix well. Let it rest for about 30 minutes before serving as it improves by time. Adjust seasoning after a while as the flavors are absorbed by chicken and the onion. The salad is really a flavorful mix of citrus, hot and a little sweet hints. It can be a good lunch box meal and can even be wrapped in rolls or be stuffed in sandwiches if you wish. The other salad with the same main ingredients but a totally different dressing. This one a hot and piquant, a little hot too due to the black pepper used liberally. Mix all the ingredients of the dressing and whisk lightly. Pour over the salad ingredients and toss lightly. Serve after a resting period of 10 minutes at least. This salad also keeps well for a day if refrigerated, for abut 3-4 hours at room temperature. This salad is quite piquant if you add the green chilly and garlic too. 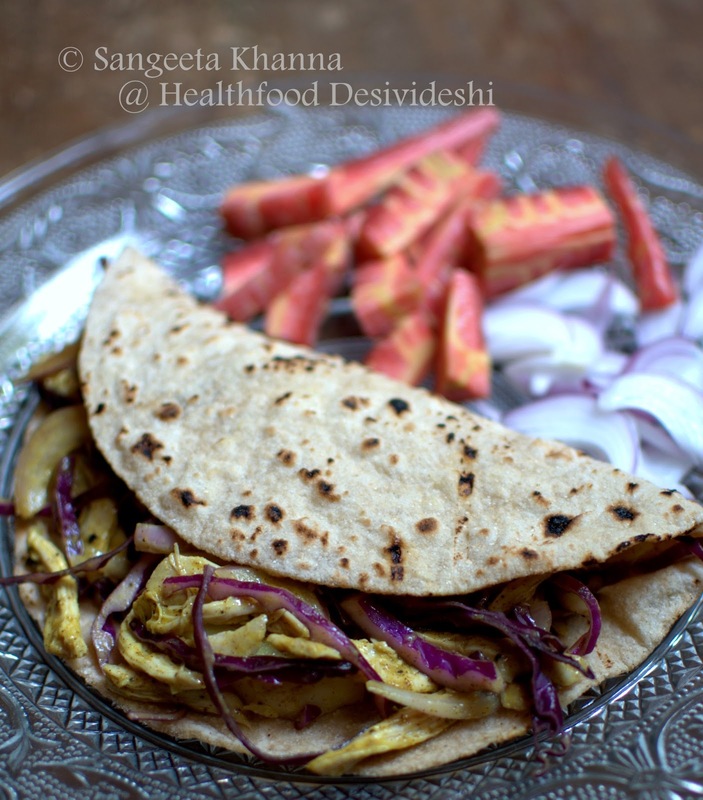 Wrapped in a chapati or stuffed into a sandwich it makes a nice meal with some more slices of onion and carrots sticks or anything you like. The potato cubes become very tasty if you use new potatoes. You can always use some more potatoes or even a few boiled eggs into this salad and make it a complete meal for yourself. 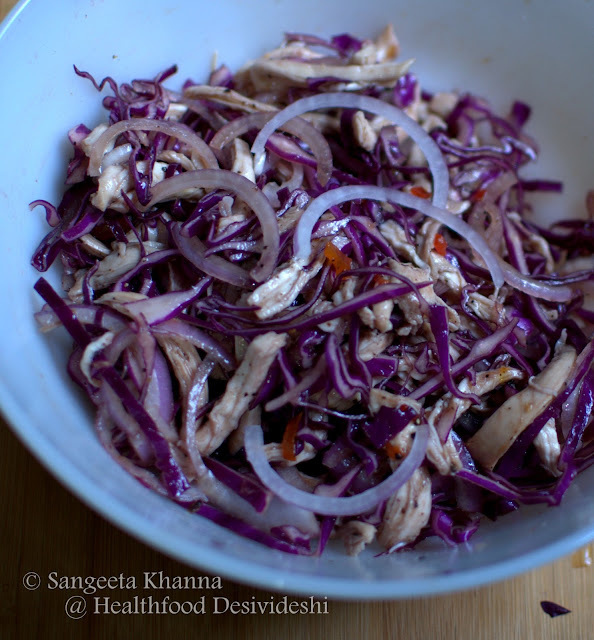 You might like to add some green coriander leaves into this salad as well. 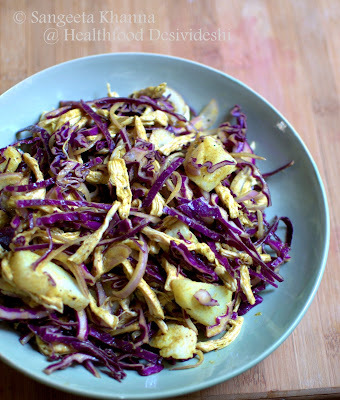 You would love this salad if you like the piquancy of mustard. There are many reasons to like mustard as a food ingredient as it is a good anti inflammatory food that helps in healing. Rich in antioxidants and enhances metabolic rate as it improves blood circulation. Try having small amounts of mustard if you are not in love with mustard already. Slowly you might like the pungency that it brings to salads and curries. This salad makes one of those foods that might get you started with mustard if you already don't like it. 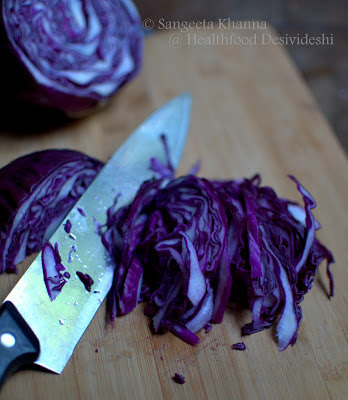 Use a green cabbage if you don't get the purple ones in your part of the world, or even spring onions if you want it more piquant. The mustard dressing works really well with many ingredients. Do let me know if you try these recipes. Wow !! That looks really appetising !! I'm surely trying this out soon. This perfect as you say for these days when one starts losing appetite for warm foods.